Chiedete ad Israele di costruire il 3° tempio ebraico a Gerusalemme!! @King Saudi Arabia, wretch, traitor, you have not been lucky enough, to make this unholy conversion to Islam, in Jordan, or in Syria, where we would have taken you, only, his wife, and children, and then you would have been struck off from all public offices... Now, you are, that is, throughout the ARAB LEAGUE, a damn simple, you have become a slave of the dhimmi, but for a short time, again! you remember, for, as Asia Bibi, she was forced to say, " Jesus died for me on the Cross, and not Muhammad," and like her, then, for this, she was sentenced to death? good! [ remember to 1, 10, 100, 1000, 10000, 1000.000, of, Asia Bibi, who are killed every day] well, now, we will let you speak, because you did you convert to Islam, to betray the Christianity, and certainly, we make die you, like, apostate, and how blasphemous! maybe we'll put a page of the Gospel, that your idolater, of a Muslim, you can not touch, and then, we will hide in your bag, for do you die! or, as, the case in Saudi Arabia, we will say, that you had the drugs, and then, to us who can challenge us something? @Deutschland - ist da, in all diesen Jahren habe ich eingeschüchtert, die verrückte maniac König von Saudi-Arabien, den babbacchione, Mörderin, Kammerjäger der christlichen Märtyrer und Schiiten, also der terroristischen Dschihad, in Sharia international, Dschihad Galaxy, die er hat viele Waffen, Armee, Panzer, ecc gekauft.. von Ihnen! Also, du schuldest mir zu erkennen, den Prozentsatz der Wirtschaftsmediation! @ Germany - is because, in all these years, I have intimidated, the crazy maniac King of Saudi Arabia, the babbacchione, murderess, exterminator of Christian martyrs and Shiites, ie, the terrorist jihadist, in Sharia international, jihadist's Galaxy, which, he has bought many guns, army, tanks, ecc.. from you! So you owe me recognize, the percentage of commercial mediation! 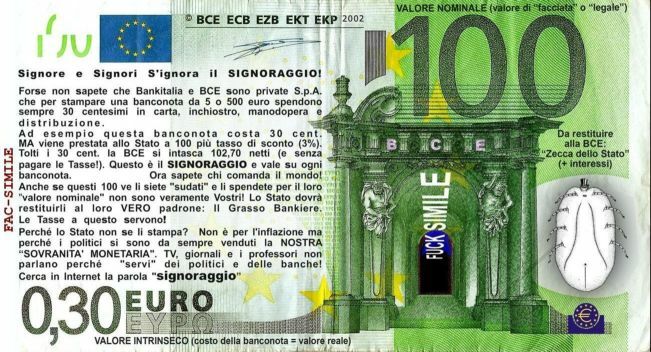 Dissociati dalla da qualsiasi associazione che appartiene al nemico Satana e dal micro cip che vorranno mettere sopra la fronte e nella mano destra. 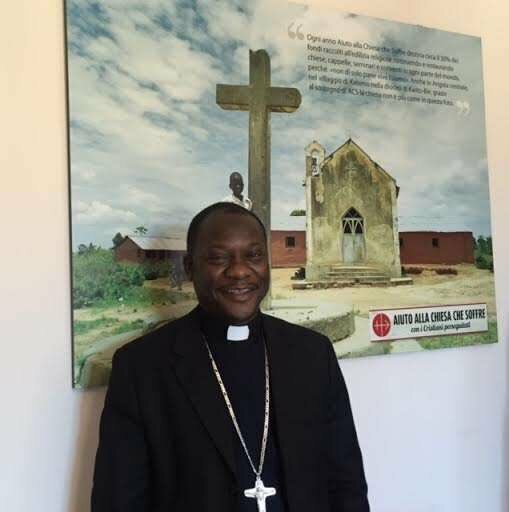 For our part, we am bound to the secret of the inside hole, according to the canons of the canonical right and for more we don't possess some reference of your identity, that to the action of the issue of the secret code you/he/she is destroyed. You are the only person responsible of the custody of the secret code together with us. N.B. Prayer of: Liberation Family Tree: O God the Father of mercy,, for: intercession of the Immaculate Heart: Mary please of: deliver us from all evil: caused: by our ancestors: that, participated in the occult, spiritism, witchcraft, satanic sects. 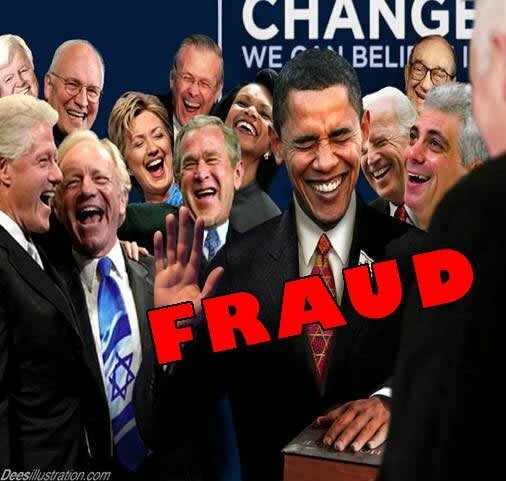 Truncates the power﻿ of the: evil That, for: their fault, still weighs on our generations. Break the: chain of: curses, evil, satanic works: that, are part of our family. C.S.P.B. 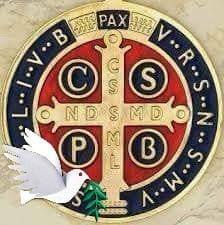 Crux Sancti Patris Benedecti, C. S. S. M.L. Crux Sacra Sit Mihi Lux, Holy﻿ Cross be my Light, NDSMD Do not sit mihi dux draco, V.R.S. begone Satan, Get away Satan! N.S.M.V. Not Suade Mihi Vana, S.M.Q.L. Sunt Mala Quae Libas, I.V.B. Ipsa Venena Bibas, Drink your poisons: made by yourself! Prayer of: Liberation Family Tree: Deliver us from satanic pacts, the physical links and: mental with the followers of: Satan and-sin. Keep us ever close to each: and activities: people with, that Satan may continue to have dominion on: of: and us: our children. Get under, your power That any area, has been delivered to: Satan by our ancestors. Away for: always the evil﻿ spirit, repair each: its damage,﻿ save us from each: his new snare. C.S.P.B. 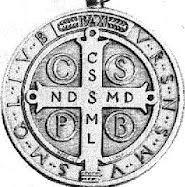 Crux Sancti Patris Benedecti, C. S. S. M.L. Crux Sacra Sit Mihi Lux, Holy Cross be my Light, NDSMD Do not sit mihi dux draco, V.R.S. begone Satan, Get away Satan! N.S.M.V. Not Suade Mihi Vana, S.M.Q.L. Sunt Mala Quae Libas, I.V.B. Ipsa Venena Bibas, Drink your poisons: made by yourself! Prayer of: Liberation Family Tree: We ask you or God, in the name and: for: pain, blood, and the merits of the most holy wounds: Our Lord Jesus Christ, your Son, That dying on the cross and defeated Satan: for his works for ever. Amen!C.S.P.B. 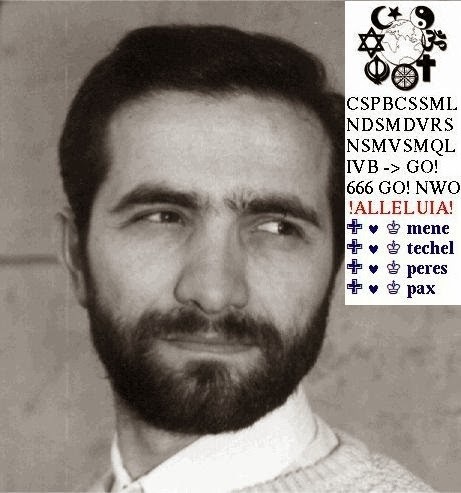 Crux Sancti Patris Benedecti, C. S. S. M.L. Crux﻿ Sacra Sit Mihi Lux, Holy Cross be my Light,NDSMD Do not sit mihi dux draco, V.R.S. begone Satan, Get away Satan! N.S.M.V.Not Suade Mihi Vana,S.M.Q.L.Sunt Mala Quae Libas,I.V.B. Ipsa Venena Bibas, Drink your﻿ poisons: made by yourself! Prayer against: the Maleficio: [From Ritual Greek] Lord our God, Oh Sovereign of the centuries, and the Almighty: Almighty, That you, you've done all: and: that, to: transform with, the: only your will, That you, to: Babylon have changed: in the dew: flame: of the: furnace seven times more: burning and: that, and you protected: saved your saints: three children; That you, you're doctor and: doctor of our souls; [abyss]MENE PERES Techel Luke 16:25 But Abraham said, 'Son, remember That you in your life you received your good things, and likewise Lazarus received evil, but now he is comforted here, and you are in agony . In Additions to all this, between us and you there is﻿ a great chasm. "Revelation 22:4 And there will not be any damn thing, and it will be the throne of God and of the Lamb:﻿ only, in the name of our Lord Jesus Christ: VRSNSMVSMQLIVBCSSMLNDSMDCSPB ♰ "Drink your poisons made ​​by yourself"★ Rei unius King of Israel, alleluia!